Maiko Park, located in Higashi-Maiko, Tarumi-ku, Kobe, with a vast area of 7.6 hectares. Maiko Park is welcoming people from all over the world as a gate of the Akashi Kaikyo Bridge, but its history dates back to the Meiji era. Maiko beach of white sand and blue pine has been loved by people traveling overland, sea for a long time since it was written in songs. 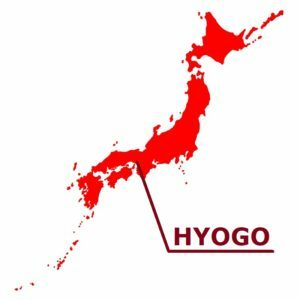 It was in 1900 that Hyogo Prefecture opened its first place of scenic beauty as its prefectural city park. Promenade constructed with Akashi Kaikyo Bridge is famous, but in the park there are exotic rich buildings etc built by a Chinese luxury shop as a villa. In addition, there are also “The Sun Yat Sen Memorial Hall” which celebrates the 10th anniversary of diplomatic relations since Sun Yat-sen, who is said to be the father of the Chinese Revolution, stopped in exile. 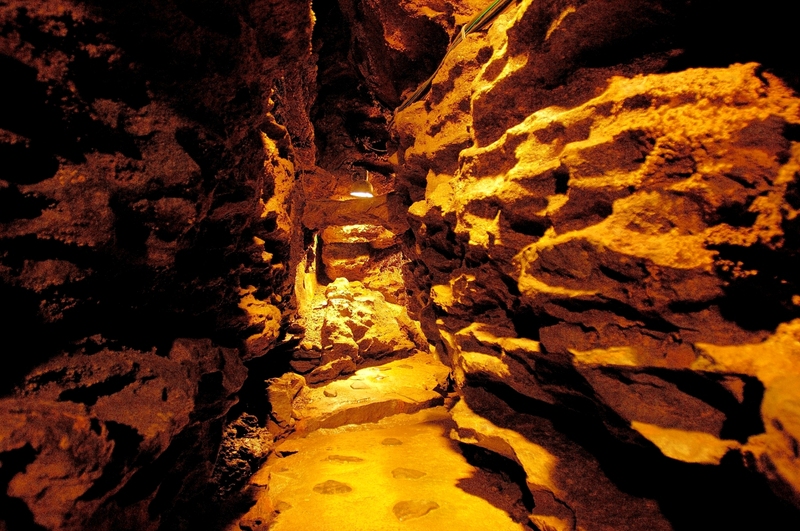 In addition, there is also “old Kinoshita house” which is a precious building where you can see the architectural style of Showa era from the Meiji era and for the first time in their lives. 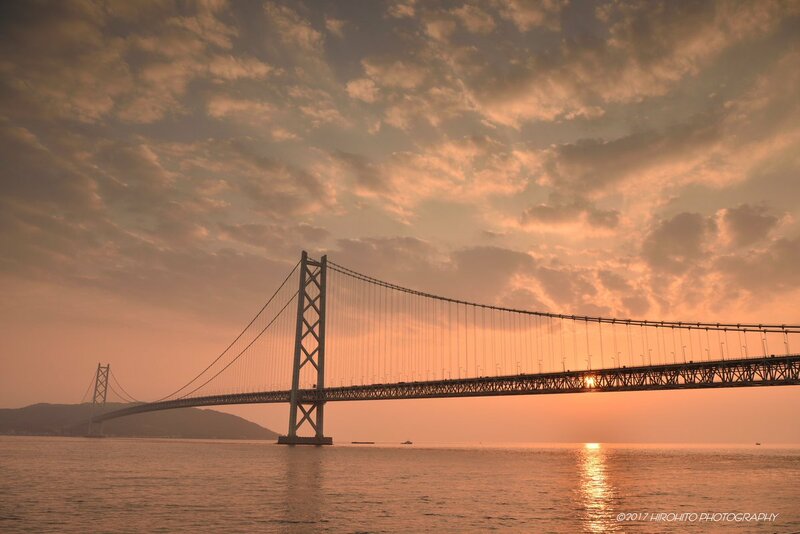 The Akashi Kaikyo Bridge, also known as the “Pearl Bridge”, is a beautiful bridge with a total length of 3,911 meters connecting mainland of Japan and Awaji Island. Lawn in the park is a place for families and couples to relax. There, you can relax and enjoy the spectacular scenery including the bridge. There is an entrance of “Maiko Marine Promenade” (charged) in the anchorage of the concrete chunk that supports the main rope of the bridge. 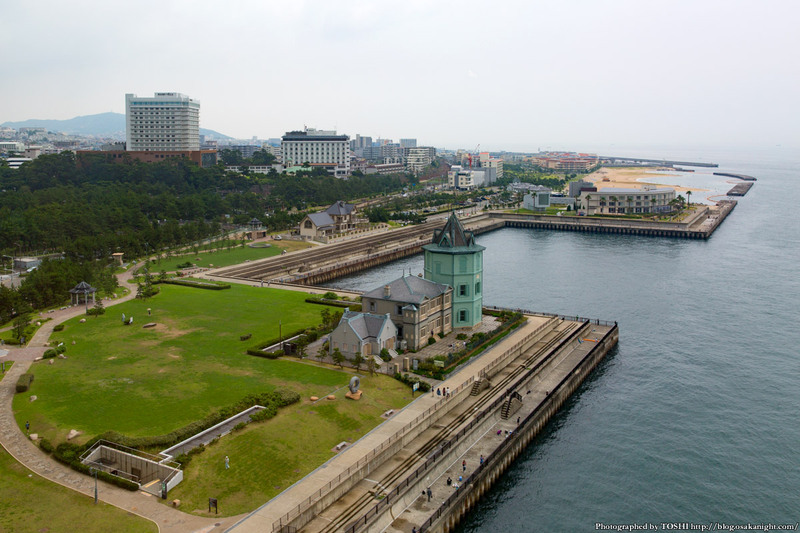 “Maiko Marine Promenade” is a pedestrian promenade that protrudes into the Akashi Channel, and there is also a maritime restaurant in the observation lounge. The most interesting thing is the glass-floored floor made on the promenade. The sea of the Akashi Strait can be seen 47 meters from there, so you will not be able to step on the glass because you are scared until you get used to it. In addition, there are still landscapes of about 1,500 pine trees reminiscent of the old days called “Road running along pine trees” between Suma and Akashi in the surrounding area. In the pine forest, looking at the Akashi Kaikyo Bridge while sitting on the bench, it may be nice to try your thoughts on the fate of the times. The “Maiko Park” which is on the foot of the Akashi-Kaikyo Ohashi Bridge, in Tarumi-ku, Kobe-shi is the extensive park where the pine groves stand in a row. This park has a beautiful stretch of sandy seashore dotted with pine trees, Emperor Meiji and the Father of the Chinese Revolution Sun Yat-sen visited here. 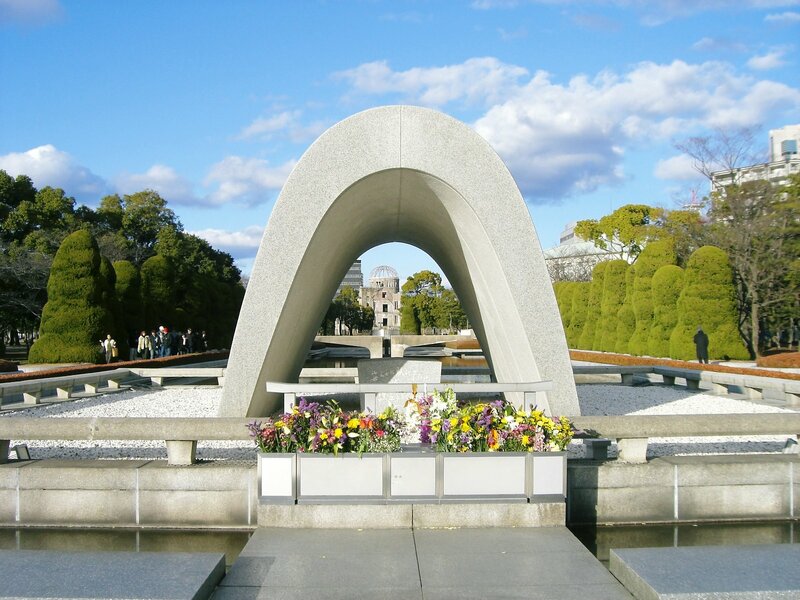 There is the monument inscribed with a tanka poem by Emperor Meiji and Sun Yat-sen Memorial hall, and there are a lot of landmark architectures. 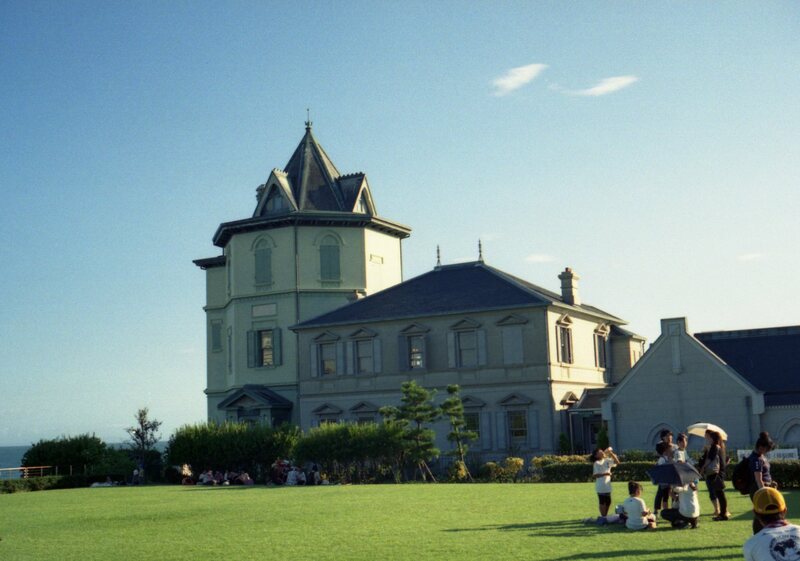 In the park, there are “Maiko Marine Promenade” which is the facilities which can overlook can overlook of Osaka Bay and the Seto Inland Sea, the important cultural property which was built in the Taisho era, and the historical building designated also as registered tangible cultural properties. So, you can enjoy Japanese, Western, and Chinese style culture and the history and scenery of life of Meiji, Taisho, Showa, and Heisei era. 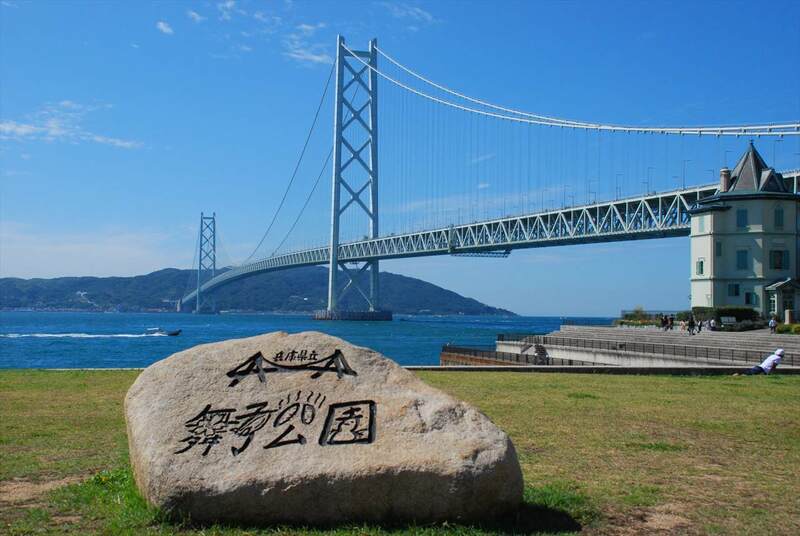 The Maiko marine promenade installed in the world leading suspension bridge “Akashi Kaikyo Bridge” is approximately 47 meters in height from a sea surface, an excursion type promenade which approximately 150 meters stuck out from the land to the Akashi Channel. 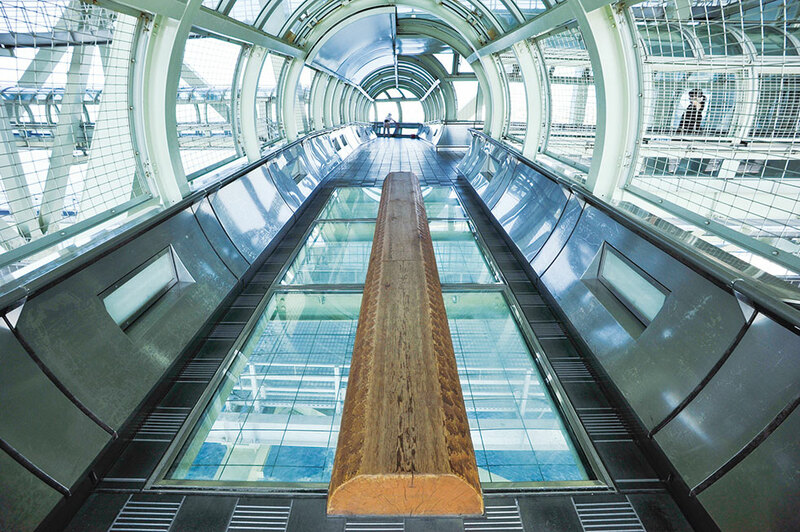 The data which explained Akashi Kaikyo Bridge intelligibly are exhibited by the first floor of the promenade entrance. In the view camera system of the eighth floor view lounge, the feeling which reached the main tower (about 300 m) in Akashi Kaikyo Bridge can be experienced. You can enjoy the walk of the marine promenade while looking at magnificent Akashi Kaikyo Bridge. In the park, you can take a walk slowly while looking at a bridge and the sea and can play a playground equipment while eating a lunch on a lawn with a child. 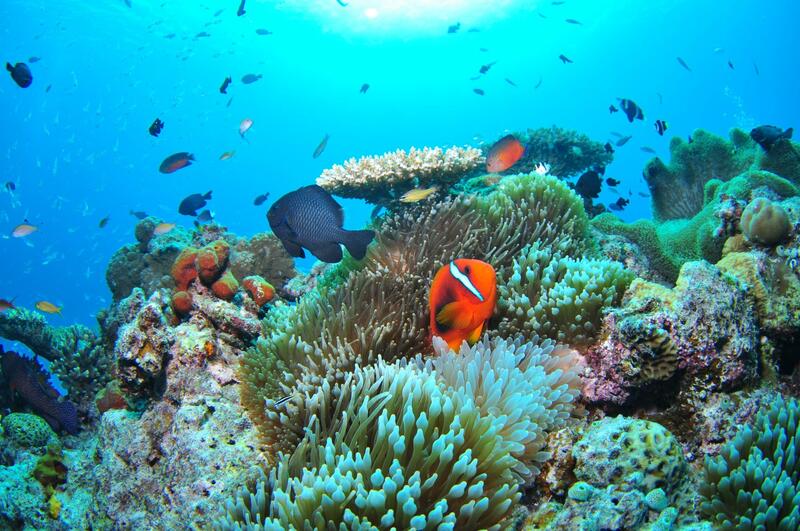 Moreover, since fishing can also be enjoyed along the sea, you can enjoy leisurely for all day.